Hey Love: Happy Fourth of July!!! Happy Fourth of July Babies!! The Fourth of July is the epitome of summer! So break some rules, laugh until you cry, and follow your heart! Summer is for making some unforgettable memories! 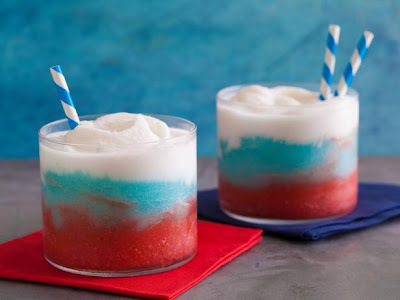 Don't these Red-White-&Blue Daiquiris look amazing! Definitely whipping some of these up for our party today! Yum! 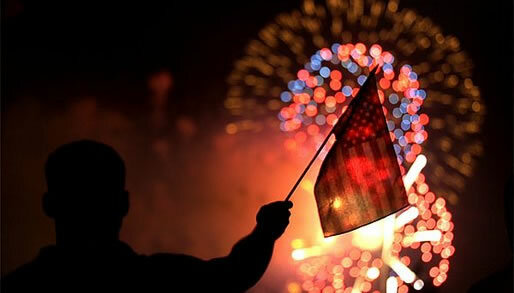 I hope you have an amazing day filled with fun, laughter, and FIREWORKS!! Les photos sont tres belles! J'aime beaucoup! Happy forth then!! nice photos!! Happy 4th love the pics! OMG those daquiris look delish!! Happy fourth! Hope you have a good time celebrating ! Enjoy !! definitely my favorite day of summer! We do the 4th BIG in Charleston, and in DC! Mmm, those daiquiris really do look delicious! I'm so EXCITED for fireworks...from a reasonable distance of course. They semi-scare me hahaha. Happy 4th Giovanna! Hope you had a blast. The patriotic drink is looking superb!! That drink looks amazing! Happy 4th of July!